Aberdeen’s rivers and seas are being eyed up by a Scottish renewable’s company as a lucrative energy resource. 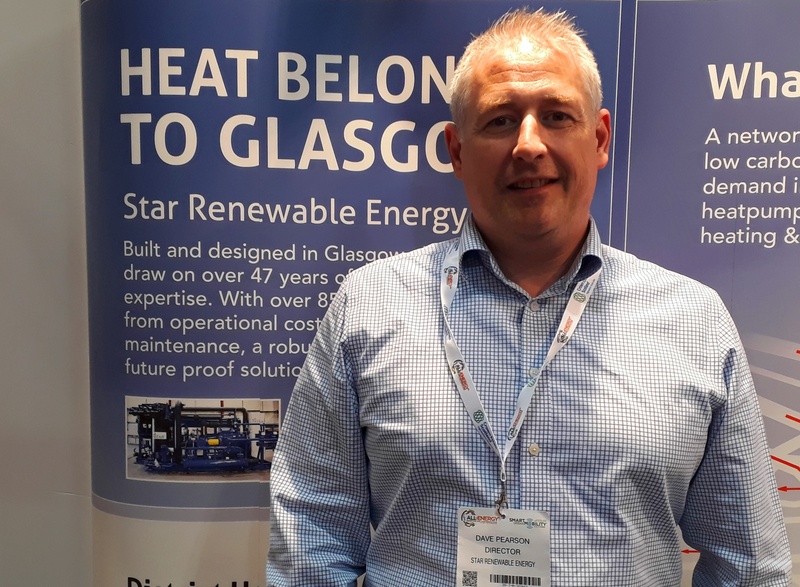 Dave Pearson, director of Glasgow based cooling company Star Renewable Energy, yesterday said his firm could harness the power of the Don, the Dee and the North Sea with giant heat pumps. Mr Pearson, who has 40 years’ experience in the industrial refrigeration sector, said: “If we harness local energy sources, such as a river, in Aberdeen’s case there’s three sources – The Don, The Dee and the North Sea – that heat can be harvested and delivered to the district heating networks that either exist of could be built in the city. “It’s a very local energy system, which could be driven by wind turbines, with thermal stores. Last year, Star Renewable Energy made the shortlist as finalists at Global Game Changers Awards 2017. The company created the worlds largest heat pump, which they said will reduce carbon emissions and cut the nitrous oxygen footprint of the Glasgow’s Gorbals area by 100% by positioning it along the River Clyde. Mr Pearson said he hopes to collaborate with another firm, such as Aberdeen Heat and Power, which he believes to be a pioneering company. He added: “It’s really important to see a diversification opportunity. Waves come and waves go and you’ve got to be ready to surf the next one. I would love [the next wave] to be for Aberdeen Heat and Power. They are a brilliant business that have been an absolute pioneer in district heating, but the carbon footprint of burning gas and making electricity and exporting electricity to the grid perversely rises as the grid decarbonises. An Aberdeen City council created company, Aberdeen Heat and Power develop combined energy solutions for the city where it is generated, produced and used locally. Mr Pearson is a strong advocate of district energy being connected to the network so that local businesses might have the choice of where to source energy.